Online Food Delivery App Simple, Smart, And User-Friendly Way To Get You Your Food Orders In Time. 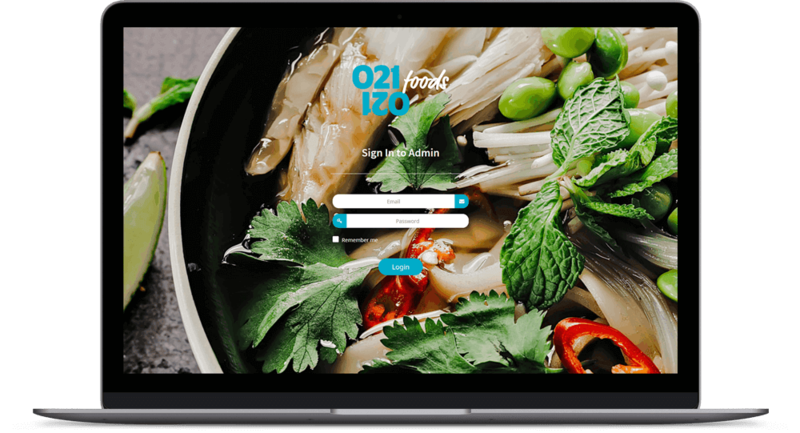 021 Foods is a food delivery app that provides the largest selection of restaurants around you to order your favorite foods. It also provides both options of having your food delivered to your doorstep or you can pick up your order directly from a restaurant. An app helps you to find and order food from wherever you are. you can also search for restaurants by name, It will filter your results accordingly. Once the customer placed an order, the restaurant receives the request and accept or reject that particular order. After accepting the order, the restaurant will start preparing your food and you will be notified for each step. 021 Foods also give you access to reviews of the restaurants. A client wanted to make an online platform where people can order food and drinks from anywhere and get the order delivered to their doorstep. He wanted to reinvent the way food is ordered, not only just to reinvent but to make peoples life easier in the process. To fulfill this requirement, client approached Hyperlink InfoSystem and wanted to build an app for both Android and iOS platforms. With this idea, some suggestions from our project manager, developers hard work, and team management, Hyperlink InfoSystem developed a "021 Foods" app that helps to provide everyone a simple, smart, and user-friendly way to get you your food orders in time. Users can sign up by filling basic details. Users can log in through registered email id and password. Users will get listing of nearby restaurants on a home screen and also can see different pins on a map which indicates nearby restaurants. Users can also search their favorite restaurants by name. An app allows users to select their favorite restaurant based on their distance from the restaurant. All the closest and in range restaurants will available to the customers for making an order. 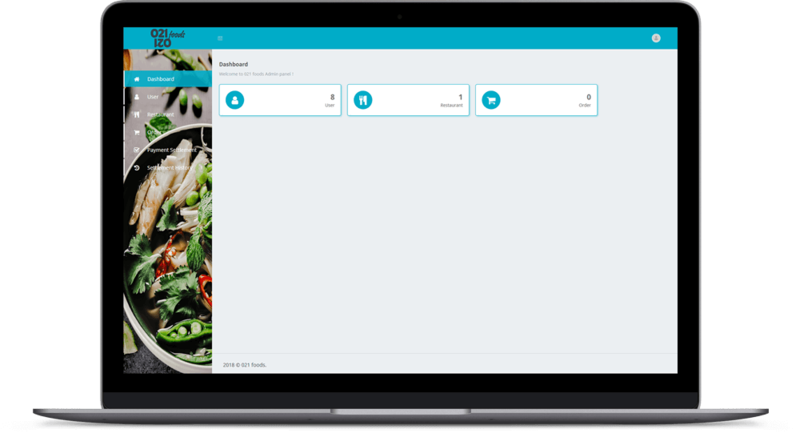 Users can add their favorite dishes in their cart and checkout anytime they want. They can select one or more dishes and the amount will be calculated automatically based on the price and the quantity. Whenever a user's food is done, they can track easily based on its status. An Order may be in the baking process, delivered or any other stage, a user can track easily through an app. Every order placed in the past and found in the order history, so users have access to check out their last expenses and records of all that they ordered. At the time of order placed/accepted/rejected/processing users will be notified. Users can update their profile details and change their password anytime. Users can give rate and reviews to any restaurants. Order listing with search and export functionalities. The biggest challenge for our developers is, If user selects dishes from the particular restaurant and add it to the cart, then he/she can only add dishes from that restaurant only for a single order. So to manage the restaurant on the home screen in a way that only selected restaurant allowed is quite tough and challenging. After some team discussion and hard work, our developers managed this scenario by comparing Restaurant ID dish ID and thus cart was managed easily. As per app functionality, users can select one or more dishes and the amount will be calculated automatically based on the price and the quantity. So to add all items on the cart and calculate amount was another big challenge. Our developers used the application's database for storing/retrieving and delete the cart item.